Is Someone You Love in Danger? When she woke up, she told her husband, "I just dreamed that you gave me a pearl necklace. What do you think it means?" Delighted, she opened it to find a book entitled The Meaning of Dreams. A gluten-free rice crust makes this pizza a delicious alternative to traditional flour crust. Seniors who live at home may enjoy having a feeling of independence and the comfort of being in their own space. However, sometimes being alone isn't safe for seniors, and it can help to have someone in the house making sure that they are safe and healthy. Solution: safety supervision. The SockSlider helps people who are unable to bend over to pull on their socks. Keeps your sock in the perfect position so all you have to do is slide your foot into the slider. Visit www.SockSlider.com for more details. 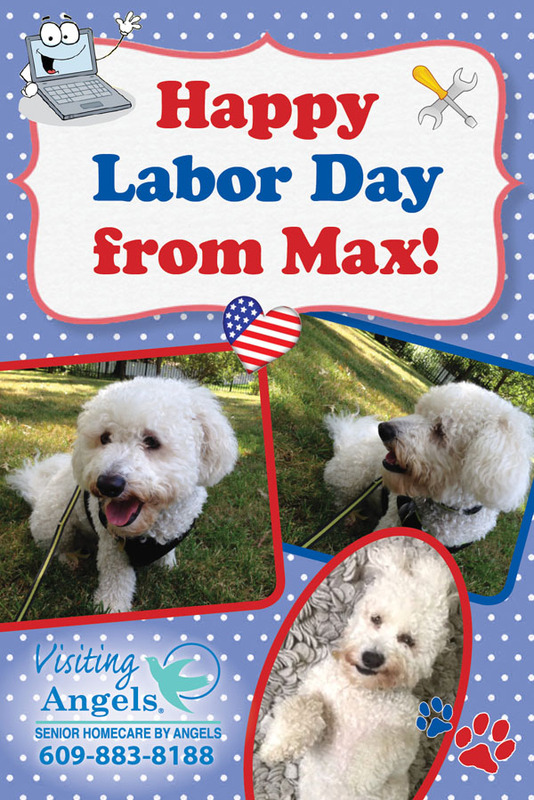 "I would like to share our experience with Marie B, our Visiting Angels' home health aide. Marie has been working with us for some time now providing home health care services to our mom. Marie is extremely punctual, has a joyful spirit and a positive demeanor with an attentive approach in her one-on-one dealings with our mom. Marie is organized and thorough in performing tasks and is willing to help out in any way she can. In addition to assisting our mother with bathing, transitioning around the house, helping her get dressed each morning, fixing her breakfast and lunch, she has also helped with wash, cleaning the house including bathrooms, made beds and taking our mom outside for supervised walks. Marie is a consummate home health aide one who is conscientious, taking pride in all that she does. Our mom appears to be regaining strength and is now able to do more on her own. We will miss Marie and wanted you to know she has been an angel to work with and a blessing to our mom and family. We would recommend Marie to others as her work integrity and kind persona make her the valuable home health aide any organization would be grateful to have. Visiting Angels' staff has been wonderful and I continue to recommend Visiting Angels' services to others." middle-aged and older women. These tips can help. Michelle D. has been one of our loyal employees since November 2011. Recently, a client's family member (who had experienced problems with other home care agencies in the past) remarked that Michelle is "fabulous and amazing," takes good care of her mother, and is always smiling. We greatly value Michelle's good nature and helpfulness. Mohamed M., also a long-time Angel (since December of 2012), recently accepted an assignment with a client which was extremely challenging and difficult to staff. His dedication and compassion toward this client is unsurpassed. We respect Mohamed's professionalism and caring personality. Thank you, Michelle and Mohamed! We appreciate your hard work and diligent care of our clients. Celebrate Your Grandparents September 10! The goals of Grandparents Day are to honor grandparents, to give grandparents an opportunity to show love to their grandchildren, and to help young people become knowledgeable of the strength, guidance, and the wealth of information older adults offer. 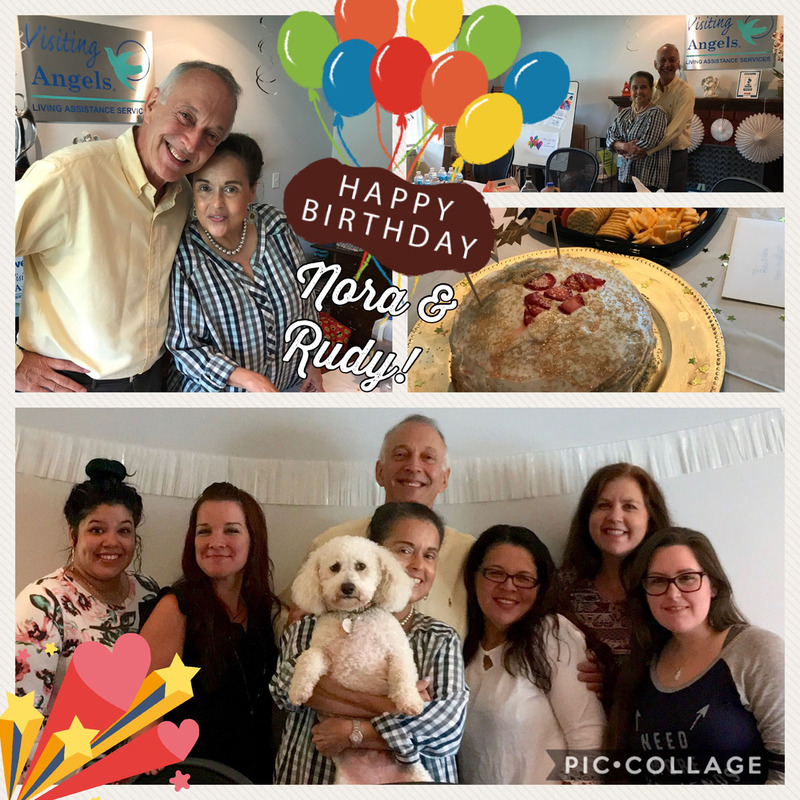 Visiting Angels' Co-owners Nora de Cárdenas and Rudy Tervooren are both celebrating birthdays in September. The staff held a celebration in their honor...we wish them both much happiness in the coming year! This month's Community Resource Bulletin focuses on SEPTEMBER: September is Healthy Aging Month. To download a printable copy of our current month's bulletin, click here. You will also find back issues of our Community Resource Bulletin from previous months on our website's resource page.